Political compromise is unappreciated in our culture of late. It should not be so. Sometimes compromise works. Last July I returned once again to the Columbia River Gorge to visit dear friends and relish the beauty of a treasured landscape. 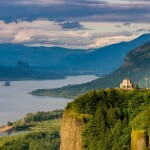 Coming back to an old home—I served as Executive Director of the Columbia River Gorge Commission from 1992 to 1999—put me in a reflective mood. 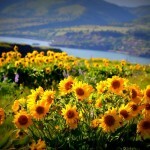 The Columbia Gorge has long been recognized as one of America’s majestic landscapes. It stretches for some eighty miles from just east of Portland Oregon through the Cascade Mountains to the open hills beyond The Dalles Oregon. 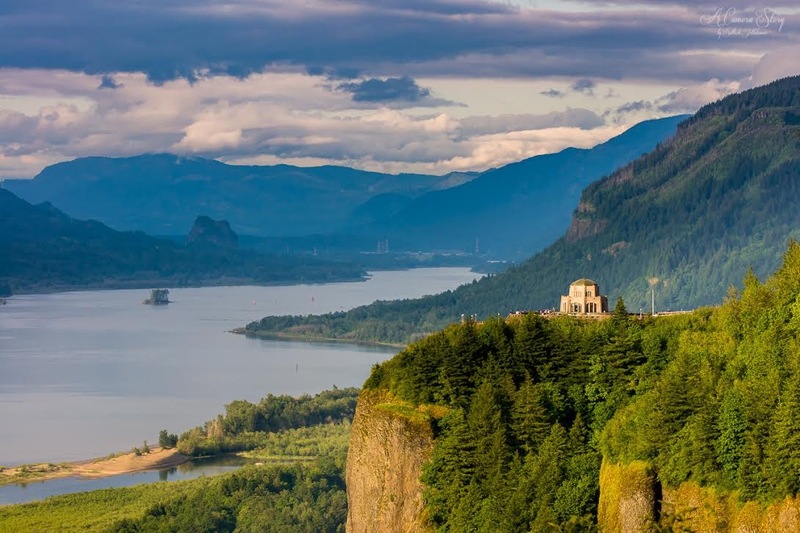 From temperate rainforest and waterfalls in the west to grasslands in the east, the Gorge is diverse in many things–scenery, topography, climate, botany, cultural heritage and recreation. Discussions of how to conserve the majesty of the Gorge landscape date back to at least the 1930s. Efforts to do something were almost cyclical for decades. But the Gorge is complicated. It encompasses parts of two states and six counties; is part publicly owned land, but mostly private; includes areas covered by treaty rights of four American Indian nations; holds key communities like Hood River, The Dalles, White Salmon, Cascade Locks and Stevenson; and supports major transportation routes and hydroelectric dams. By the 1980s concern over development pressures and inadequate land use controls created a turning point. Thirty years ago, on November 17 1986, President Reagan signed the Columbia River Gorge National Scenic Area Act into law. The Act is a marvel of compromise, worked out through what may appear unfathomable bi-partisan collaboration among the two states’ congressional delegations and Governors. Creative solutions are written throughout the law. It combines public land acquisition in roughly a third of the Gorge with land use controls in the remainder. Growth boundaries are set for thirteen towns and cities but the areas within them are exempted from the Scenic Area Act’s regulations. An intersecting management structure involving the US Forest Service, a bi-state commission and local governments is set up to administer the Scenic Area. Financial incentives for early local implementation are written in. The creativity of the Act does not mean it wasn’t controversial. For a decade or more, some wanting a national park were sorely disappointed. Some counties and landowners bitterly resented the management plan and land use controls imposed under the Act. Thirty years later I am struck by this: if the Scenic Area Act is judged by whether its broadest purposes have been achieved, it can only be regarded as a tremendous success. Driving through the Gorge I scanned the landscape looking for changes. The stunning scenery of the heavily forested western half is virtually the same. The sweeping walls and hills of the more open and sensitive east are equally unaltered. This is what the Gorge Act sought to accomplish. In face of Portland metro’s explosive growth—from 1.5 million people in 1990 to 2.35 million in 2015—it is a stunning achievement. The Scenic Area abuts the metro area. It is not hard to envision the changes that would have occurred in an unprotected landscape over the past thirty years. At the same time, the Gorge landscape is not set in stone. Most dramatic to me is the evolution of some of the small mid-Gorge towns in Washington formerly dependent upon the lumber economy. By the 1990s recreation had stimulated economic activity in Hood River Oregon, but across the Columbia the small city of White Salmon (population 2,000), where I lived, lagged behind. Walking around town in 2016 is clearly different. A local brew pub, people at restaurant sidewalk tables, a lively new bakery –all driven by a locally-based tech company now employing hundreds, plus the people attracted to the region’s vast recreational resources. There is another side to this. Median housing costs in White Salmon have more than doubled since 2000. Teachers report new school hires are unable to afford homes in town. The mid-Gorge’s farm workers likely also struggle with housing costs. Recreation demand is also higher. Trailhead parking lots throughout the Gorge fill quickly. A researcher reported the White Salmon Wild and Scenic River has a higher use by rafters and kayakers than any river he has studied nationwide. The Scenic Area Act sought to support economic growth in the thirteen small urban areas that conserves the Gorge landscape and enhances recreation. After decades it is remarkable to see this playing out. Still, it brings new challenges to managers and communities: a smaller version of affordable housing issues faced in larger cities; how to manage the huge numbers of people from Portland and around the world visiting iconic sites like Multnomah Falls and Dog Mountain. Addressing such challenges, collaborating with local, state and federal agencies and tribal governments, being responsive, monitoring how the Gorge is doing, adjusting conservation measures and economic strategies – these things take staff and resources. Unfortunately, the Columbia River Gorge Commission, the tiny bi-state agency charged with stewardship of the Scenic Area, is as constrained in resources as ever. Despite three decades of success in protecting the Gorge, the Commission today can only afford six staff to run a nationally important planning and regulatory agency. Adjusted for inflation today’s budget is less than that of the mid-1990s. This amounts to just seven cents annually for each of the two states’ residents. Not enough to ensure the success of the Scenic Area for the next thirty years. The Columbia River Gorge National Scenic Area Act stems from a period of great innovation in approaches for conserving large landscapes. Like the Pinelands National Reserve in New Jersey, it falls within the “green-line park” movement of the 1970s and 80s. The effectiveness of these landscape-scale conservation experiments is evident today. We need to glance back thirty years and recognize how a forward-looking accord was forged by people working across state lines, parties, and barriers between state and federal government. 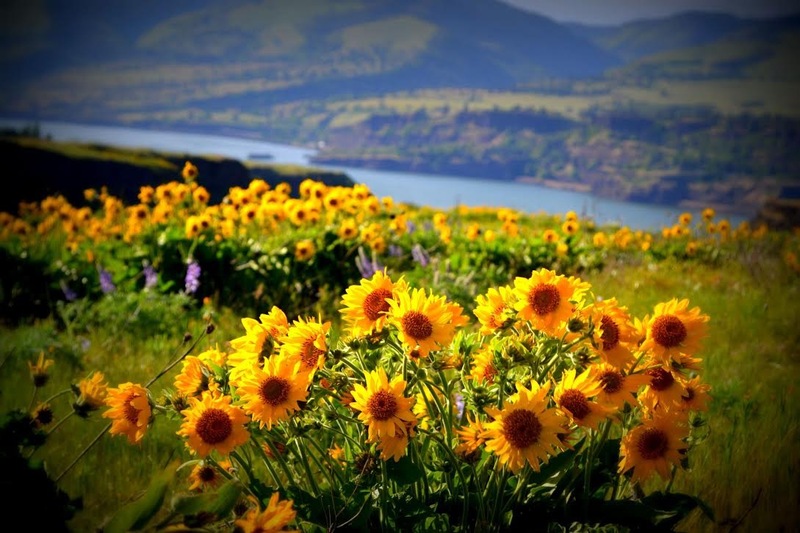 They knew the Columbia River Gorge was a nationally significant landscape, vital to the heritage of the Northwest and the nation. They knew it was threatened. And they looked to the future and did something about it. Three decades later the wisdom of their actions is clear for anyone to see. To view the success of compromise, just take an eighty-mile drive through the Gorge. We should all take inspiration from it. Jonathan L. Doherty was Executive Director of the Columbia River Gorge Commission from 1992 to 1999. He now works on landscape conservation matters in the Chesapeake Bay region.